Bloating, gassiness, and abdominal discomfort aren’t limited to the occasional holiday feast. One in 10 Americans say they suffer from bloating regularly, even when they haven’t eaten a large meal. 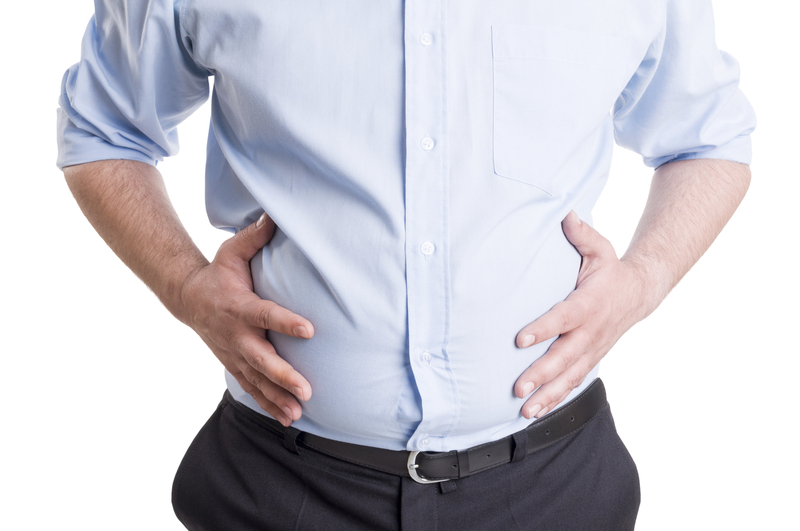 In some cases, bloating can become severe enough that it causes distention, or a perceptible swelling of the abdomen. Bloating and gas are usually tied to what and how you eat, so a few simple changes may help. Activated charcoal has porous properties, which means it has holes that allow the passing of air and water. These spaces can trap excess gas in the intestines caused by stomach bacteria. A good source of fiber, bananas can help reduce bloating and gas associated with constipation. Also bananas contain potassium, a mineral that helps regulate fluid levels in your body and gives relief from bloating. Drinking warm water is good for health as it helps remove harmful toxins from the body as well as keeps the body hydrated. Lemons are rich in vitamins B and C, riboflavin, calcium, phosphorus, magnesium, proteins and carbohydrates that help in digestion. Apple cider vinegar is a perfect cleanser, eliminator and the best food for treating indigestion. It can give almost instant relief from gas and indigestion. Peppermint contains menthol oil, which has an anti-spasmodic effect on the smooth muscle of the digestive tract. This helps relieve spasms in the gastrointestinal tract, bile duct and gallbladder. Ginger is a well-known herb that can be used to reduce gas and bloating. It contains several active ingredients, including the pungent compounds gingerols and shogaols that help reduce inflammation in the intestines and relax the intestinal muscles. Chamomile tea is another effective option to get relief from bloating. This herbal tea has anti-inflammatory and anti-spasmodic properties that can help soothe the stomach and help with heartburn as well. Eating pumpkin is an excellent way to prevent unwanted flatulence as well as bloating. Pumpkin contains a good amount of vitamin A, potassium and fiber that help in digestion. Adding just one cup of pumpkin to your meals can help create a smooth digestive flow and reduce gas. You can steam, bake or broil it, or include it as an ingredient in your recipes. Dandelion tea is a natural diuretic and laxative which helps to regulate the digestive system and relieve gas and bloating. Cinnamon helps in preventing the stomach gas and pain. It helps to provide immediate relief from gas. The following process not only helps in providing relief from flatulence but also prevents its recurrence. Garlic excites the gastric flames which eases the stomach gas. Drink garlic soup to fight assimilation and decrease gas. It is better to use fresh garlic for effective results. Turmeric can cure most of the problems related to digestive system. It also helps to releasing the trapped gas. You can add it to dishes. Fennel seeds are very effective for digestive problems like bloating due to their carminative, diuretic, pain-reducing and anti-microbial properties. Fennel seeds help relieve bloating by relaxing muscle spasms in the digestive tract. Caraway has anti-spasmodic effects as well as antimicrobial and carminative properties. Two chemicals present in caraway seeds, carvol and carvene, help soothe the smooth muscle tissues of the digestive tract and promote expulsion of gas to give you instant relief from stomach bloating. Massaging your stomach and lower abdomen helps the built-up gas to pass through your digestive system to relieve the pressure of bloating. Because so many different disorders, factors and illnesses can cause a bloated stomach, it’s a good idea to have some tests run by your doctor if you can’t figure out the underlying issue. There isn’t one diagnostic test for determining the cause of bloating, but your doctor might decide to gather more information by running tests such as: stool analysis, blood test, ultrasound to check for blockages, test to check for transit follow through, enema and gastric emptying tests, esophageal manometry, breath test, endoscopy or colonoscopy with biopsies. Being active helps your digestive system function optimally, since it can fight constipation, keep circulation moving and move lymphatic fluid through your body, which essentially helps you “detox.” Try to get the most benefits from exercise by doing something active most days of the week for at least 30–60 minutes. And skip the sugary sports drinks afterward! Wondering if your workout can ever be make you more bloated? In some cases it can, especially if you overdo it. Overtraining causes the body to go into a stressful state, which causes the the adrenal gland to release more of the stress hormone cortisol. Make sure your exercise routine supports your overall health and makes you feel better, not the opposite causing disturbed fluid levels, poor digestion and added stress. To make sure fiber can do its job correctly, you also want to drink enough water to beat bloating. There’s no magic number that is going to be the right amount for you, but start by having at least six to eight glasses a day. Staying hydrated is essential for beating bloating, but when it comes to beverage choices, choose wisely. Carbonated drinks, especially if they’re loaded with artificial ingredients and sweeteners, can cause bloating to become even worse. Alcohol can also make you bloated, and caffeinated drinks too for some people. Your best bet is plain water, water infused with fresh fruit slices or herbs (like lemon, grapefruit, basil, etc. ), or herbal tea. Ever notice how when you’re nervous, tired, and sad or overwhelmed, your digestion is a total mess? Stress and anxiety impact digestion in a big way. That’s because your gut and your brain communicate very closely via the vagus nerve, aka your “gut-brain-connection.” Within the lining of your gastrointestinal tract lives a network of circuitry tissue that communicates via hormonal and chemical messages to your central nervous system, called the enteric nervous system (ENS). Your brain triggers the ENS to produce enzymes, saliva and secretions to help with digestion, along with controlling hormones responsible for your appetite.